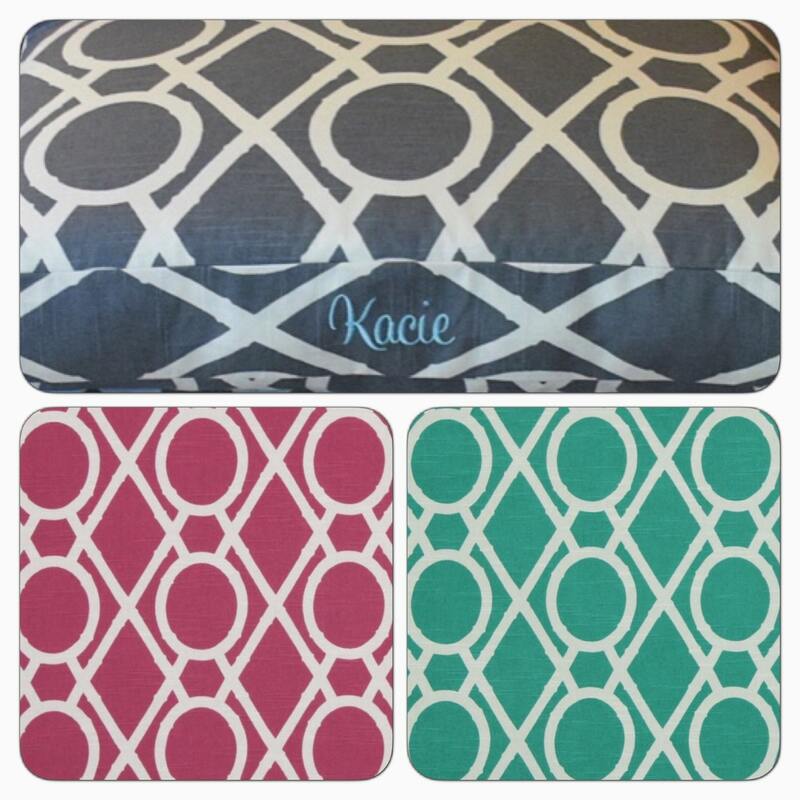 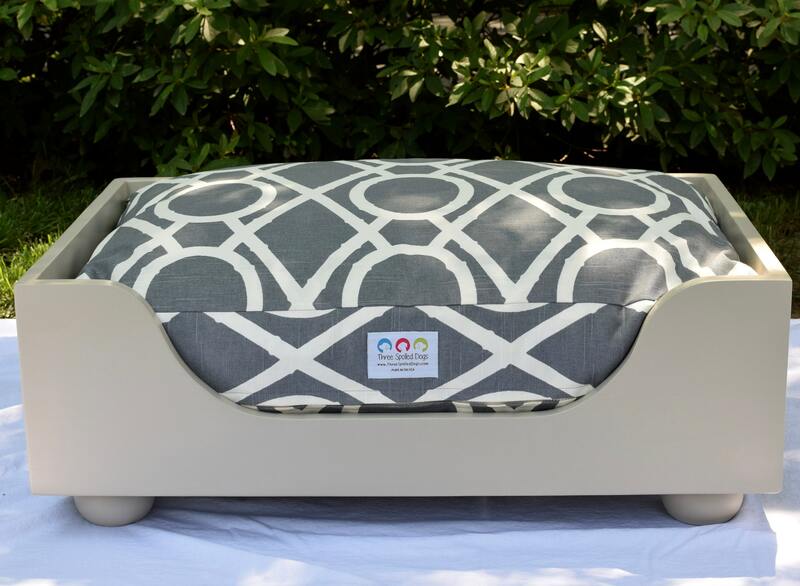 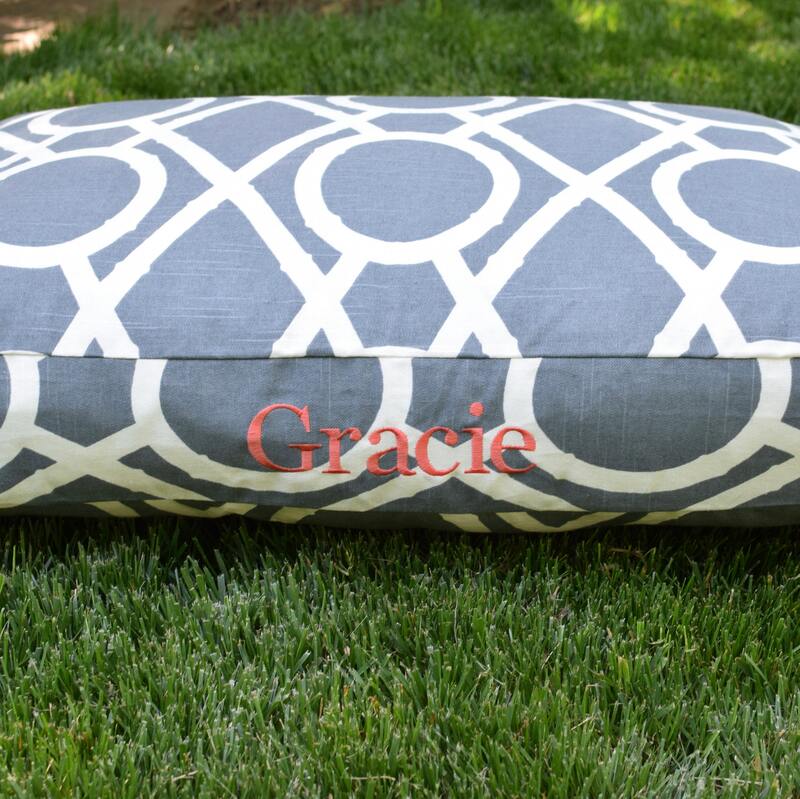 Personalized Large Dog Bed - Our BEAUTIFUL Bamboo Lattice Collection comes in 3 colors and look FANTASTIC embroidered with your pups name! 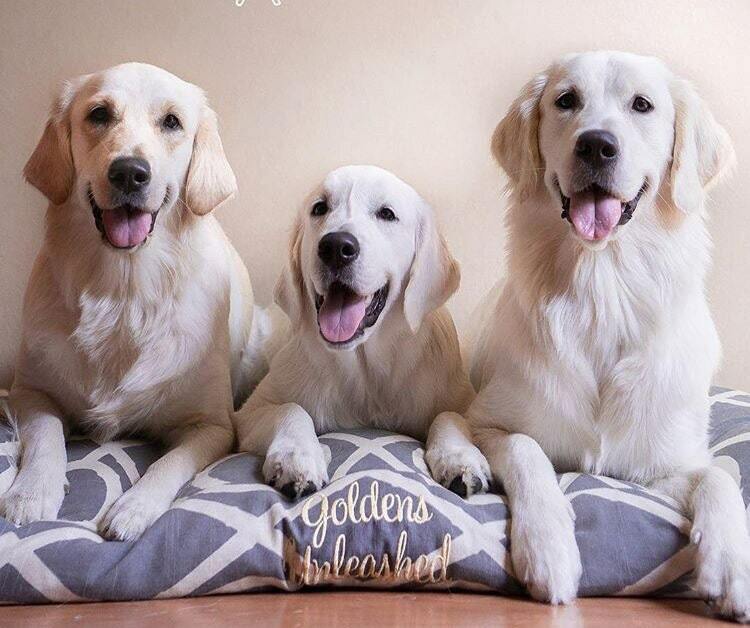 Embroidery is complimentary on all of our beds. 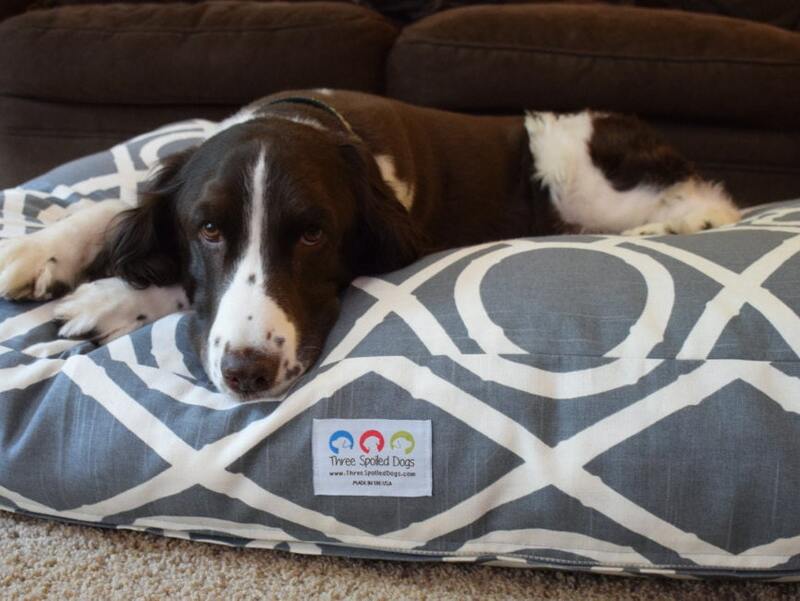 💫 At Three Spoiled Dogs, we strive for perfection when it comes to comfort and design, so we know you'll love our beds and your pets will too! 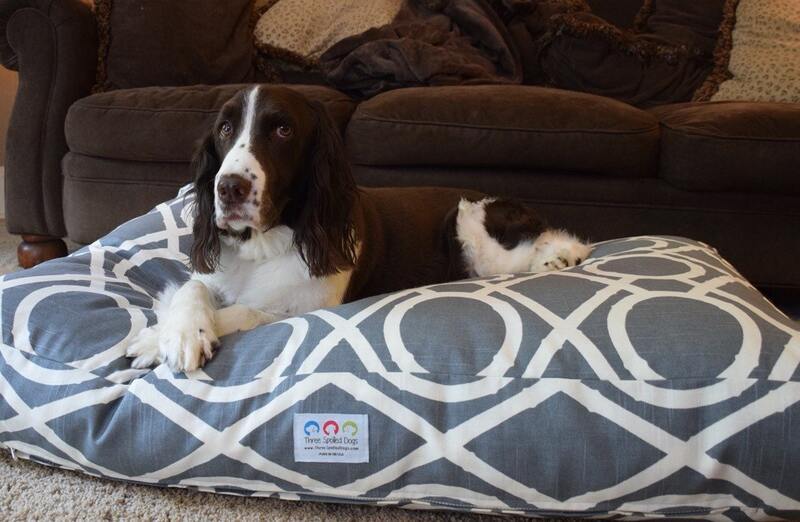 Each dog bed is handmade with care in North Carolina. 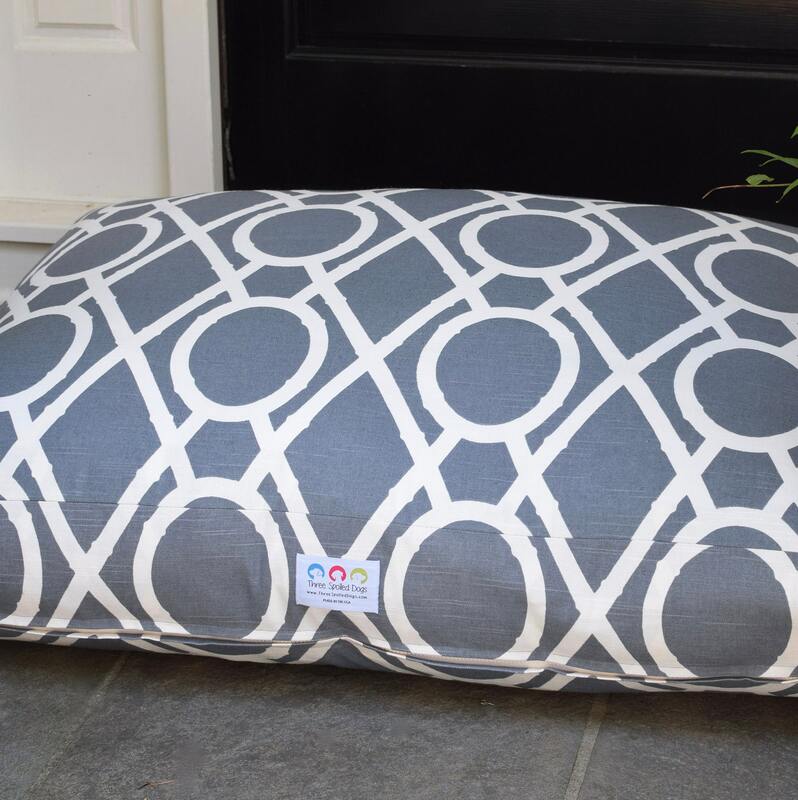 We have so many stylish upholstery fabrics in stock and soon, we will have a page on our website where you can see all of our fabric options. 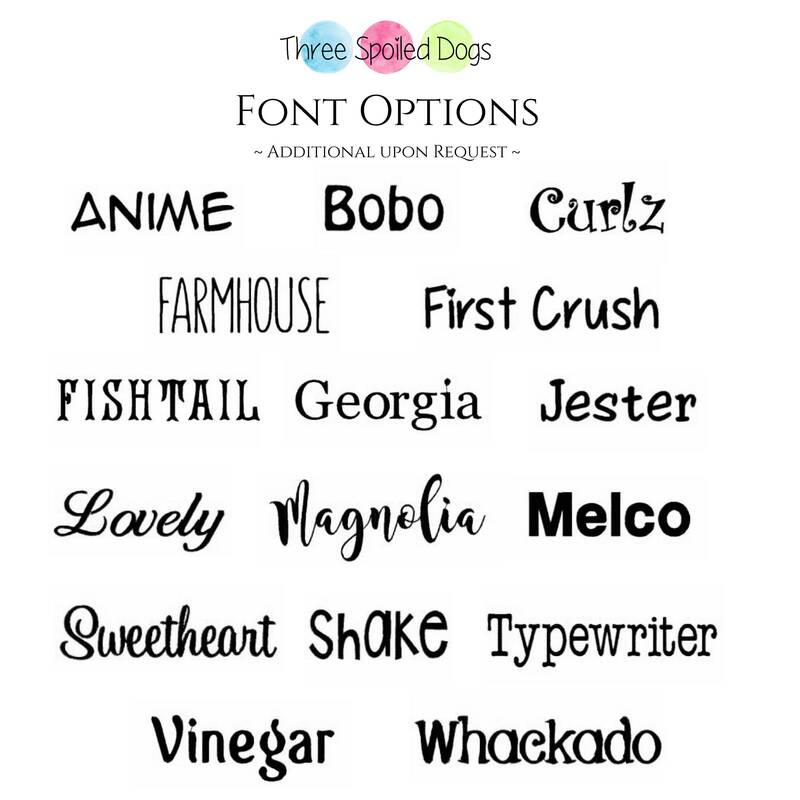 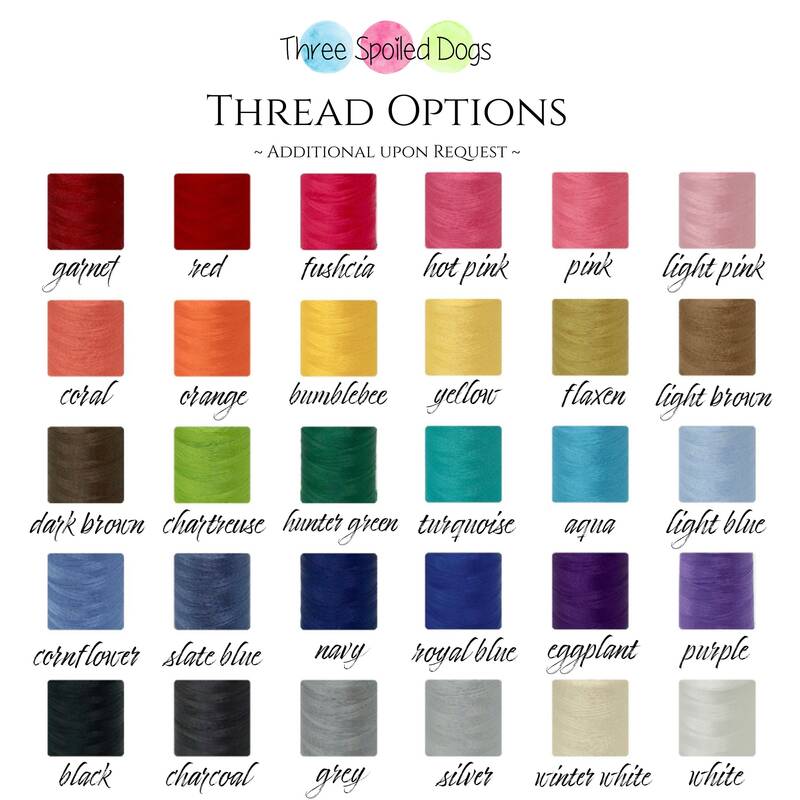 Until then please send us an email, hello [!at] ThreeSpoiledDogs.com and we will email the “data sheets”!